For the first time Berlin based BDP will present their work in the United Kingdom at X Marks the Bökship in London. It is with great pleasure that BDP will offer a carefully chosen selection of their publications, artworks and limited editions, ranging from the ephemeral and handmade, to the mass-produced on the occasion of being publisher of the month, April 2013. 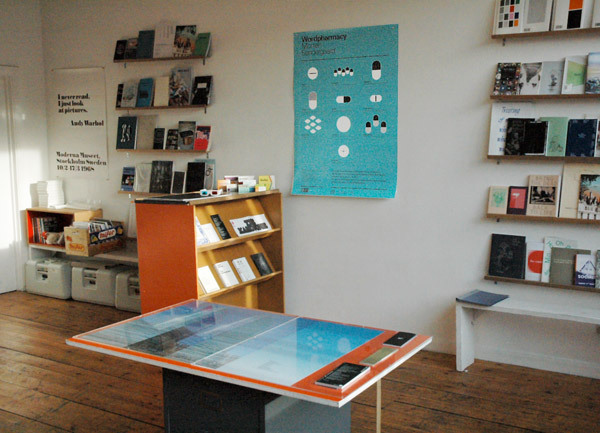 BDP started in 2009 as a vehicle for international publishing endeavours, focusing on considered experimental literature, contemporary art and social-democratic social sciences all channeled through the haptic nature of the book and the visual experience of tactile arts. It strives to work beyond language regions and commercial niches and in this manner hopes to offer a progressive, internationalist art book publishing platform for its writers, artists, curators, thinkers and other collaborators in an effort to excavate avant-garde traditions. 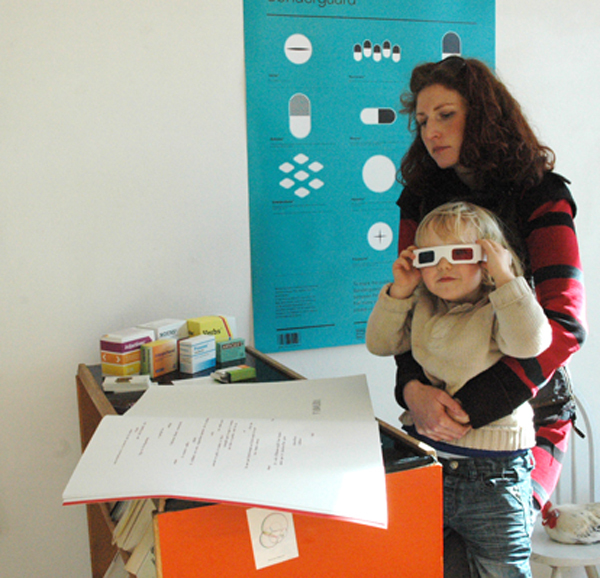 At X Mark the Bökship BDP will present some of its titles, book-objects and editions, many of which have been designed by its partner FUK Laboratoties. Co-editor and novelist John Holten will read from his latest project of potential books. 1. In the face of the increasing difficulties facing literary publishing, a growing hesitation to advance the form and reach of inherited literary modes of narration, poetics and artistic expression, as well as a disregard for intelligent, engaged audiences, the domain of the international visual art world can aid in the advancement and reception of literature. 1.1. The avant garde and experimental, the poetic and intellectual are being denigrated and sidelined because publishing is not commercial enough in its current state. The lowest common denominator is the only one getting paid. 1.2. The Book (qua text, literature, fiction) offers writers or literature a fruitful domain for experimenting with words; and the Book in turn can be treated as an exhibition space in itself. 1.3. We see ourselves working therefore with Novelist Visual Artists. Or Visual Essayists. Or artists. Or whatever. 2. The digital turn in publishing offers possibilities that have yet to be fully explored and mapped out. 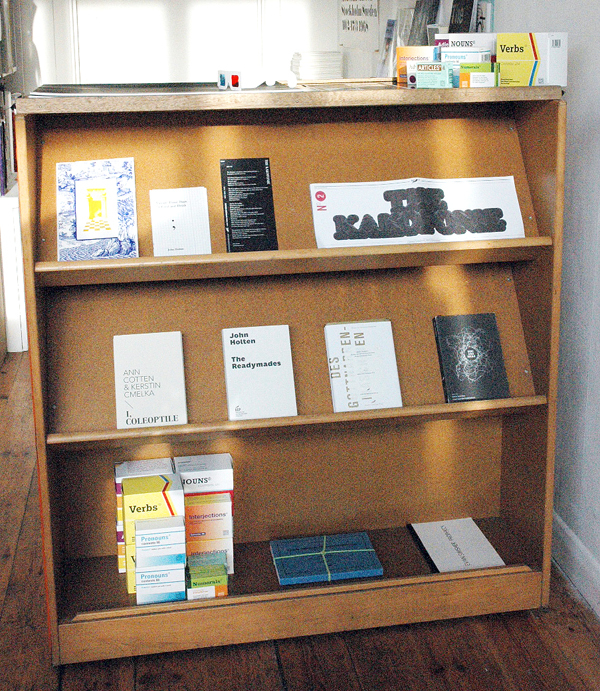 However the printed book is the domain of choice due to the haptic nature of printed matter. 2.1. To decide to make physical Books one must do so to the highest possible standards. Form matters, content matters – design & production matter. 2.1.1. And in making this decision to make a physical book, we realise that one is working with a form under attack – Books no longer hold a monopoly. We find a beautifully melancholic poetry hidden in this fact – that books have become decadent. This in turn opens new possibilitie: is there anything more wonderful than the luxury of the futile, the pointless and the useless? That which cannot be read, understood, that which accumulates no knowledge, no power in the traditional, reactionary way: to embrace this is to embrace a great FREEDOM. 2.2. We continually want to re-invent the Book. 2.2.1. We put ISBNs on anything if we term it to be a Book. 3.The political is everywhere, even when it’s not to be found. 3.1. The imaginative realm of an endless Europe is the political sphere of BDP. Europe is not to be found in any one place. While an economic and political model of a possible Europe flounders it is imperative to advance a social-democratic Europe. 3.2. While the legacy of a hubristic and colonial Europe of the Enlightenment continues to wreck havoc across the globe, solutions, sympathy, empathy and interest should be continually sought after and advanced. 3.3. Such quests should be carried out in the abstract currencies of: Internet social exchanges, blogs, forums of various media, group emails, Facebook, active travel and live readings (including long winded Q&As hors sujet), exhibitions, vernissages, touring exhibitions, concerts, screenings, collective writing activities, public protests, voting etc etc. 3.4. NEW FORMS ARE ALWAYS NEEDED! NEW IDEAS OF THE BOOK ARE ALWAYS NEEDED! 3.4.1. New forms of reading, new forms of loving, new forms of eating, etc, are always needed! 4. FREEDOM does not equal personal freedom (cultural traditions, social contracts, etc). 4.1. Making money is not the most important outcome, by-product or even nice surprise of BDP’s activities. On the contrary. 4.2. It is important to always endeavor to have fun. Together. 4.3. Generosity of spirit, thought and ideas should permeate all activity. 4.4. So called ‘haters’, ‘narcissists’, ‘hipsters’ are all accepted as inevitable. Together, with fun, individually each can be overcome.